A unique take on Horseshoe Bend. I couldn't resist photographing the glowing orange cliff faces as the final light of day lit them up. 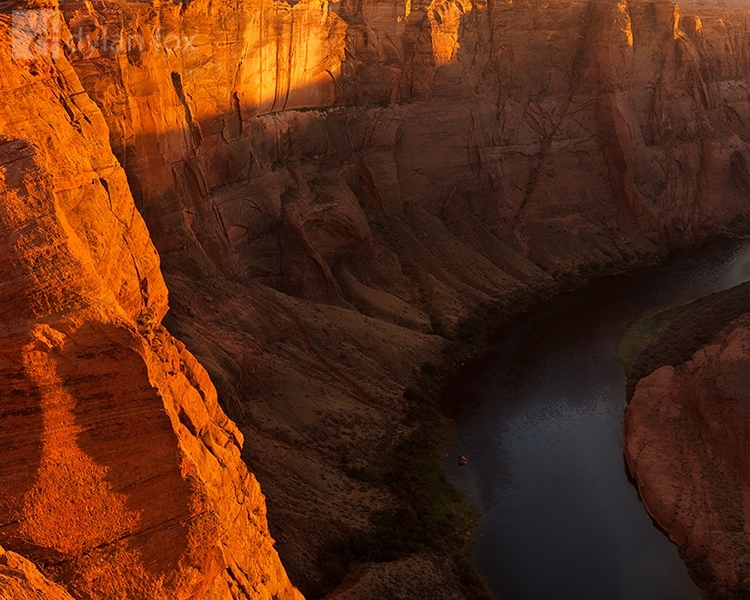 The glowing orange contrasted so nicely against the Colorado River drifting by in the shadows a long way below. Secure your limited edition, Colorado River photographic print, 'Until Tomorrow', by selecting your desired print size in the menu to the right.